This is a dark secret that nobody out there is telling you about Sitemap, that I am going to tell you here. 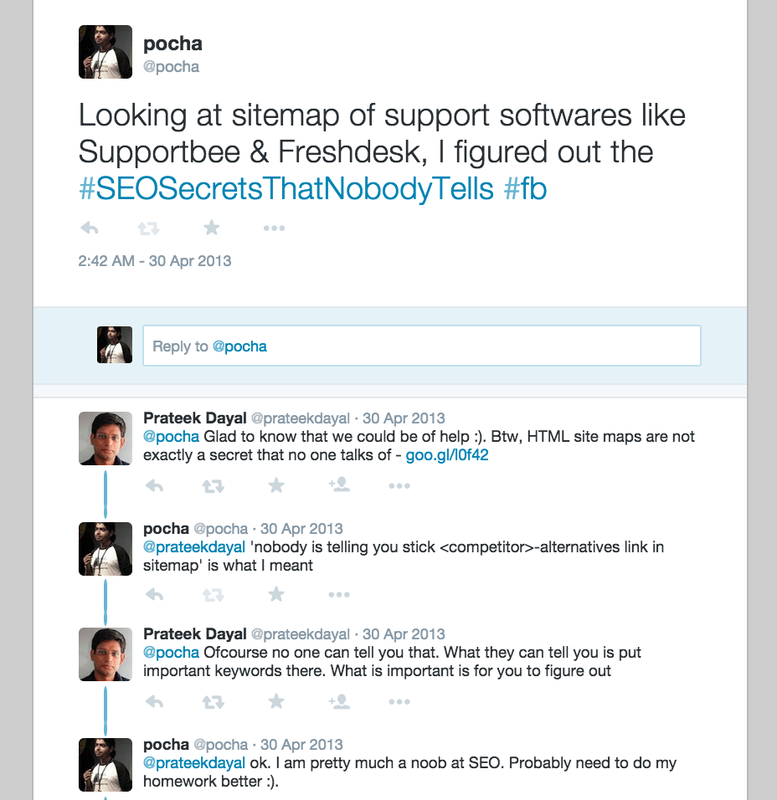 Sitemap is the SEO playground for digital marketer. This is the place where they put links targetting competition. Very few people have spoken about this openly in the past. One of it is this twitter status message reproduced below. A typical targetting competition strategy is to create competition-alternative pages & stack those links here. Also, people try to look for comparison of X & Y, where X/Y could be you or your competitor. Have a look at this page to get a better idea. I can safely write all this content for actual people to read as bots would be mostly likely to fish for links & crawl them :-).